Labor Day means more than just the end of summer, it's a chance to celebrate the American worker, argues KGBerry's Rashada Whitehead. With Labor Day just behind us, many are yielding to the signal that summer is coming to an end. Parents have posted "first day of school" pictures of their young ones and college students are finding their way around campus. At the same time, there’s a subtle shift across the workforce as we return to a professional rhythm and pace that won’t break until the end of the year. Although Labor Day seems synonymous with the end of summer, we know its true purpose is to celebrate the American worker. While combing through headlines to discuss with my new fall semester undergraduates, I noticed few stories focused on employees or discussing the status of the workforce. Even though work is an integral part of our lives, few brands had compelling messages or even words of recognition for their employees this Labor Day. Interestingly though, this short work week presented no shortage of personal narratives and headlines about the opportunities and passion points that make up the dynamic nature of work and ultimately our careers. Personally, in just the last few days I’ve made recommendations for two former students to secure full time positions and a longtime friend and seasoned colleague to land her next big leadership role. On a bigger scale, the internet has been on fire with hot topic discussions surrounding some of the most scrutinized and celebrated jobs of our time. Let’s see. There is the mayor of my home town Chicago deciding to not seek a third term and acknowledging that being mayor was, "the job of a lifetime but not the job for a lifetime." And I can’t ignore the intense hearings to choose a new Supreme Court Justice - a position that comes with a lifetime appointment. And yes, how about the superhero mom who worked her way back to the US Open finals while wearing a new version of her superhero costume. And we simply cannot ignore the cast of a new ad encouraging us all to believe in something, even if it means sacrificing everything. Let’s rewind to that last one for a moment. That’s the ad Nike unveiled as part of its 30th anniversary campaign, narrated by NFL free agent quarterback Colin Kaepernick. two-minute spot has been recognized (both praised and criticized) for the bold move made by Nike not only to partner with Kaepernick as the face of their 30th anniversary campaign, but also to air the commercial during the NFL football season games. Just about everyone, including me, has an opinion about Nike’s decision and the perceived implications that come with it. Whether it’s a general consensus or not, I’ve watched the full ad several times and something about the people and stories making up the other 90% of the commercial gets me every single time. The nudge to not just follow (note to the internet) but to lead with the best of who you are and what you have. The reminder that you don’t have to be like anybody to be somebody. The thread between loving your work and believing in yourself. I’m pretty sure this 30th anniversary campaign hasn’t made its last headline. So as I move through this semester preparing a class of future public relations pros to bring to their academic work, the industry, and ultimately their own careers curiosity, creativity, integrity, diversity, candor and resolve, we will be watching and weighing in on it all. Yes, Labor Day is just behind us – but welcome back to school. 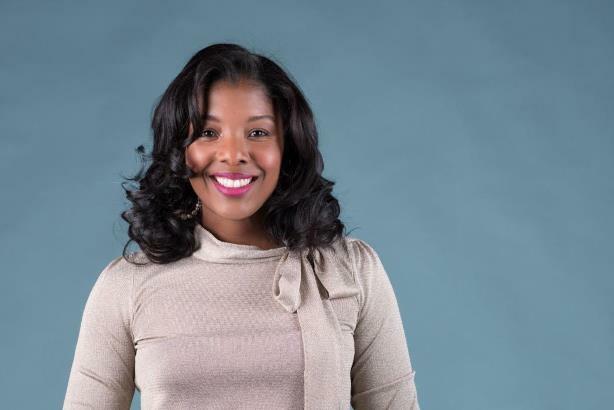 Rashada Whitehead is a professor, writer, and the president and chief transformation officer of KGBerry, an organization that helps conscious companies navigate big changes. Connect with her here on Twitter.